The World Congress of Dermatology, the world's largest gathering of dermatologists, will meet in June that year and 15,000 delegates are expected. In the same month, 1,000 delegates will attend the 26th symposium of the International Society for Cerebral Blood Flow and Metabolism. The International Federation of Gynaecology and Obstetrics World Congress anticipates 7,500 obstetricians and gynaecologists in October. 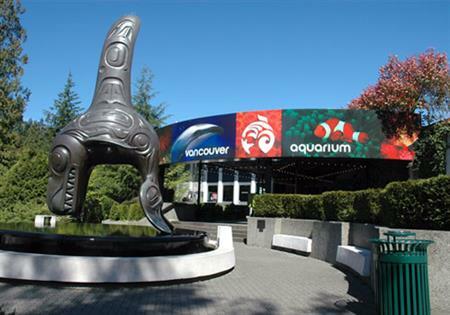 In addition, the Vancouver Aquarium will host the International Aquarium Congress in 2016 for 1,500. All four conventions were won by Tourism Vancouver as part of its Be A Host programme, which targets association meetings. "Planners worldwide choose Vancouver because they know we offer first-class hotels, gorgeous scenery and outstanding conference services," said Richard Yore, director of sales, meetings and conventions for Tourism Vancouver. "In fact, in 2010 we were named by ICCA as North America's top destination for international meetings."